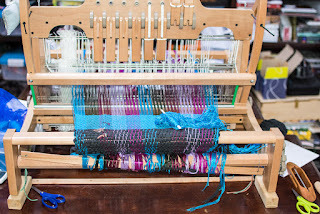 Finally got my loom all set up and warped, which was a pretty bad job this first time. I'll get better. Now to weave some dishcloths just in time to leave.